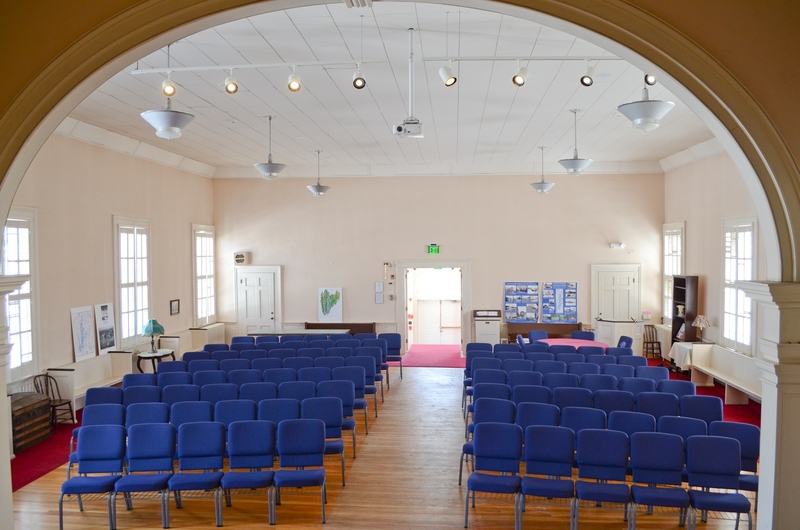 The Palmer Historical and Cultural Center is available for rent and is perfect for showers, weddings, birthday parties, reunions, performances, dinners, meetings and corporate events. 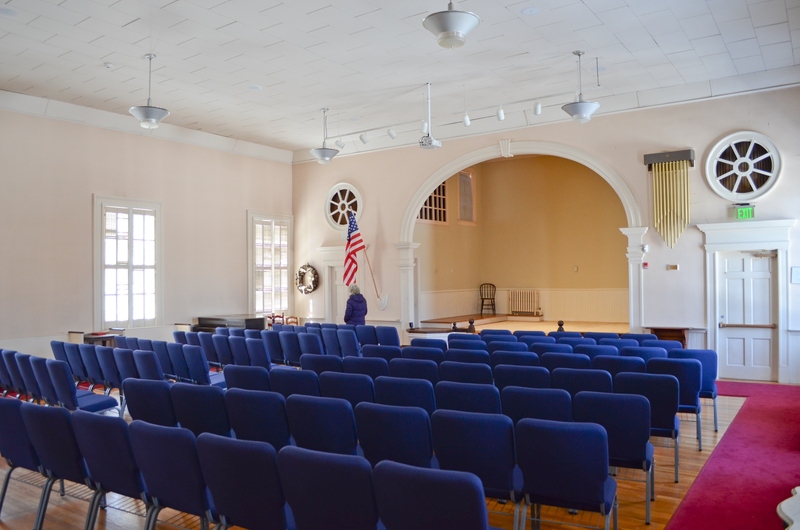 PHCC has two distinct types of spaces that can be rented independently or together depending on your event needs. Contact us to see just how perfect of a setting PHCC can be for your function. Harmony Hall set up for an International Night dinner. HARMONY HALL: Located on the upper level. It is flooded with natural light by large vertical shuttered windows or can be darkened for special presentations. 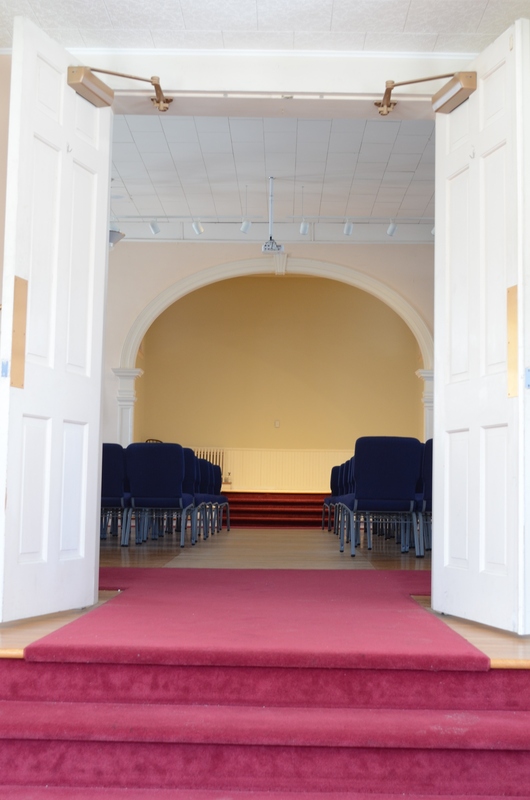 A platform area in front is framed by an ornamental arch which serves as a great focal point for presentations or performances. Electronic presentations are possible by making use of the projection system. This space is suitable for many uses and a variety of configurations can be achieved. Round tables and stackable cushioned upholstered seating are available, and a fully hardwood floor provides versatility and elegance to this space. It can hold up to 160 people as a theater, and 80 people with round tables. The Villages Room set up for an event. VILLAGES ROOM: This smaller room is located on the lower level and is great for smaller meetings and functions. Long tables and folding chairs are available. Harmony Hall set up lecture style. Looking out at Harmony Hall from the stage. Looking into Harmony Hall from the front foyer.